Original content posted April 2018. Updated April 2019. Although I don’t consider myself a coffee drinker, I’ve been trying to become one. I figure as the mama to four children 10 and under, it’s something I really should add to my resumé. Coffee drinker. A few weeks ago, I asked one of our favorite Starbucks baristas for a drink recommendation and he made me an Iced Cinnamon Almond Milk Macchiato. After ordering them almost daily for the past few weeks, I’m not sure if I should despise him or thank him for my newest obsession. Instead, I decided I should try to make my own copycat version at home. 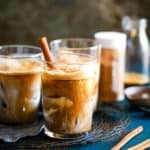 What is in the Iced Cinnamon Almond Milk Macchiato? 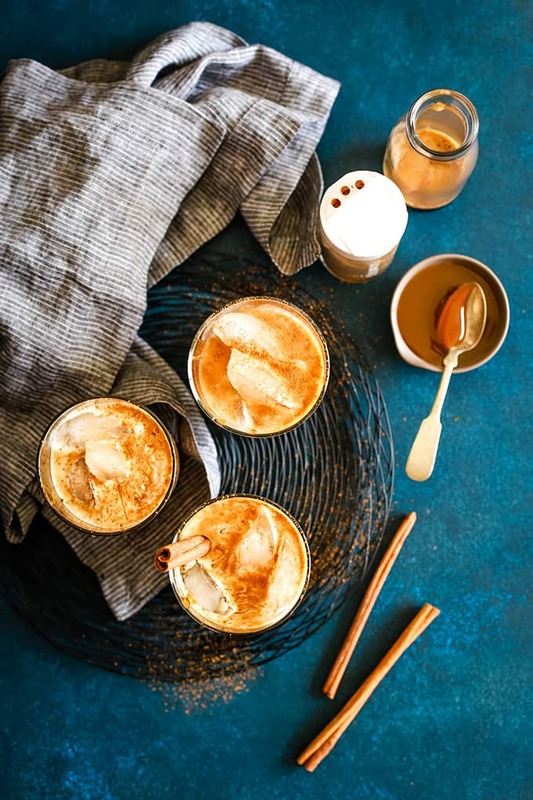 The drink you’ll find on the Starbucks menu is a combination of espresso, almond milk and cinnamon syrup and finished with caramel and cinnamon. It’s like drinking a cinnamon roll and is down right heavenly. But seriously, you know I’m not a barista and my at home Iced Cinnamon Almond Milk Macchiato was going to have to be much more straight forward. And bonus points if I was using ingredients I already keep in my kitchen. Mission accomplished! 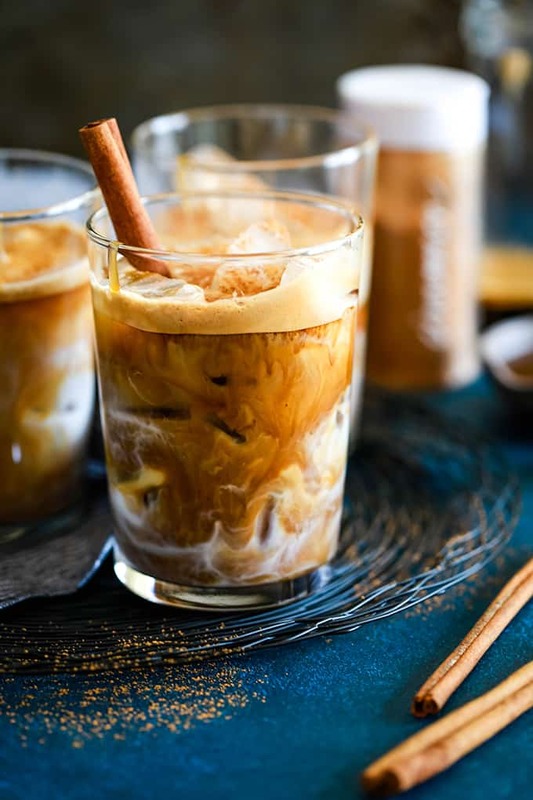 I can create my copycat Iced Cinnamon Almond Milk Macchiato in under five minutes. In fact, I’m betting I could make it under three if I wasn’t attempting to make it while also getting breakfast for aforementioned four children and packing their snacks and lunches for the day as well. Multitasking at it’s finest, my friends. And this isn’t my first coffee house copycat adventure! My Iced Caramel Mocha Latte is one of my go to warm weather drinks and my no bake Mocha Coconut Frappuccino Pie was inspired by another favorite drink. I simply take a glass and fill it with ice and almond milk. Then drizzle with caramel and a sprinkle of cinnamon. I put the entire thing under my Nespresso machine and brew espresso over all of it to create the most beautiful – and delicious! – drink to ever come out of my kitchen. TIP: Don’t have an espresso machine? No problem! Simply substitute some very strong brewed coffee. TIP: I typically use unsweetened almond milk but if you’d rather have a sweeter drink like the Starbuck’s drink, a vanilla flavored almond milk is delicious! Drizzle caramel syrup around the inside of glass and sprinkle cinnamon over the top of the ice. TIP: You’ll want to use a caramel syrup that you’d typically use for serving over nice cream, NOT one of the flavored syrups you see poured into drinks. Pour espresso over the ice. 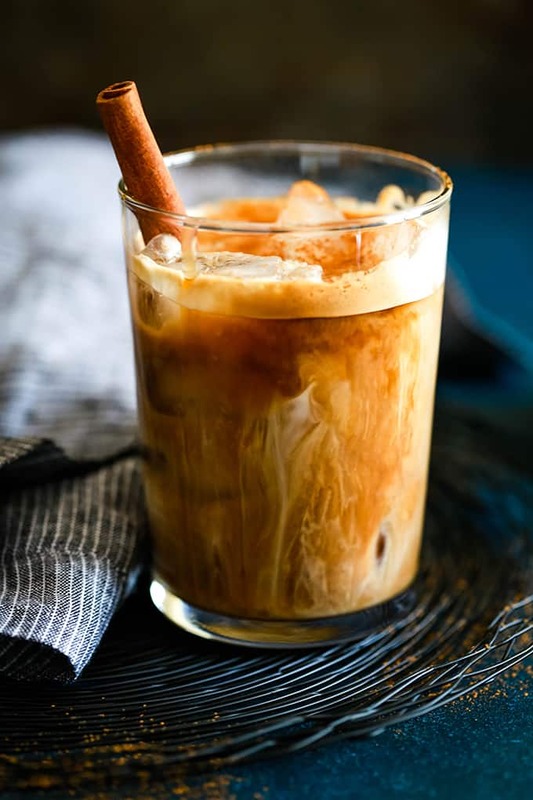 If you’ve tried this Iced Cinnamon Almond Milk Macchiato or any other recipe on Melanie Makes, please let me know your thoughts in the comments below. I love hearing from you and respond to each and every comment! 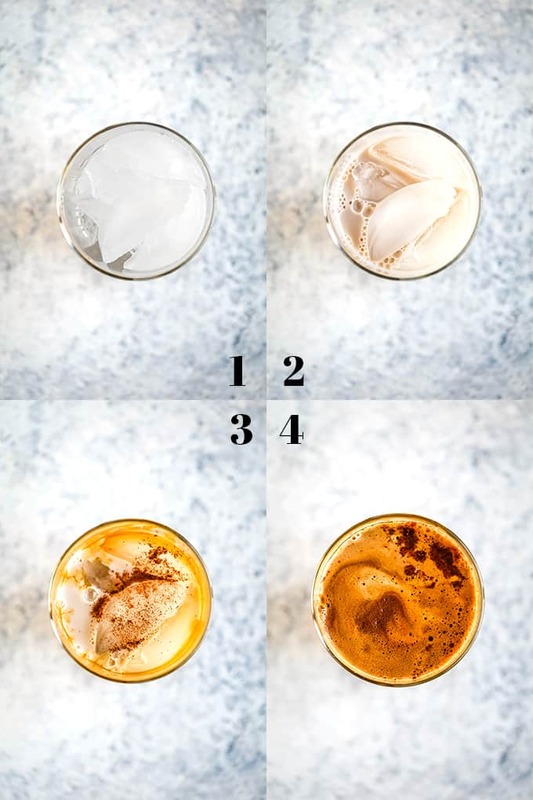 My four ingredient Iced Cinnamon Almond Milk Macchiato takes less than five minutes to create - so much faster than a trip to see your favorite barista! Drizzle caramel around the inside of glass and sprinkle cinnamon over the top of the ice. TIP: Don't have an espresso machine? No problem! Simply substitute some very strong brewed coffee. TIP: I typically use unsweetened almond milk but if you'd rather have a sweeter drink like the Starbuck's drink, a vanilla flavored almond milk is delicious! 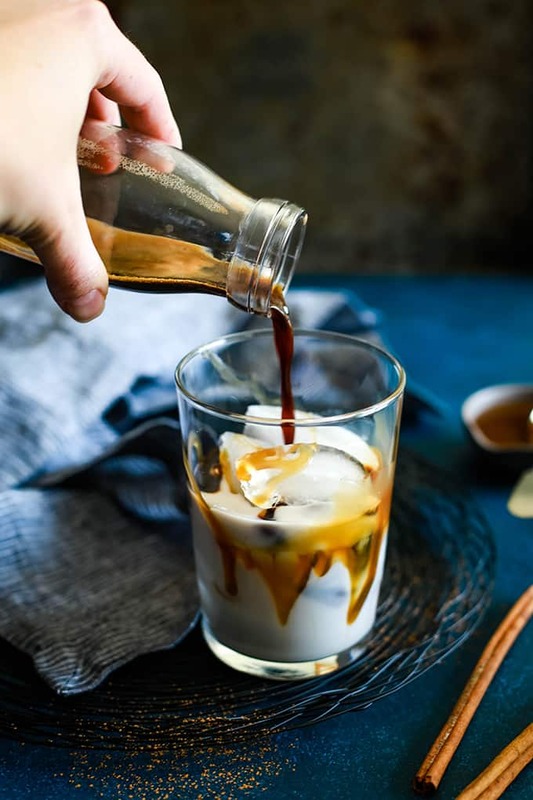 TIP: You'll want to use a caramel syrup that you'd typically use for serving over nice cream, NOT one of the flavored syrups you see poured into drinks. Looking to make other coffee house favorites at home? You’ll definitely want to try this Caramel Apple Spice, Starbucks S’mores Frappuccino and this decadent Salted Caramel Hot Chocolate Recipe. Thank you so much for the recipe! 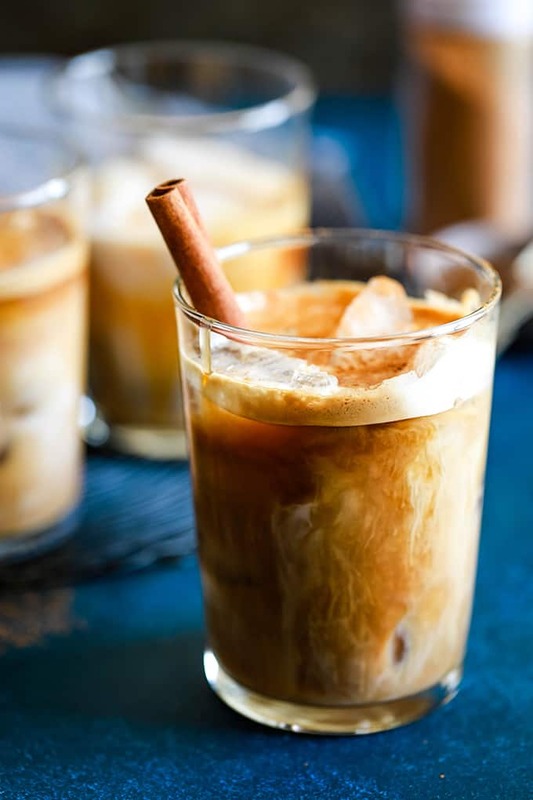 I seriously love the cinnamon almond milk macchiato but I always order it hot, and I have searched the internet and can’t find a single recipe for it hot, they’re all iced. Could you do a hot version of this? One of my favorite's!!! 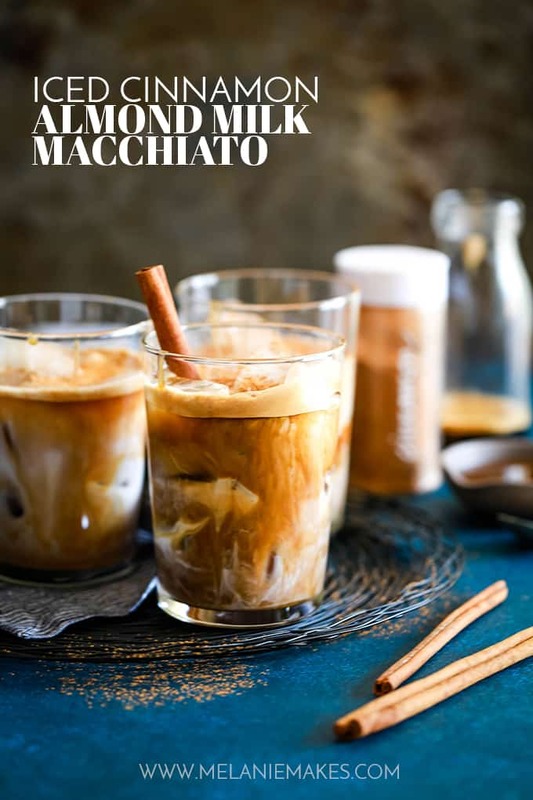 I can't wait to make this macchiato this weekend! Definitely my type of drink! I will make it tonight! One of my absolute favorites, Catalina! This looks delicious! I cannot wait to try this! Love just making this at home instead of always going to the coffee shops! I recently had to stop spending money at our local coffee shop to save money. This recipe has saved me; looks better than what I would get in the drive thru! You're so kind, Sara - thank you! These look so good! These will be perfect for a warm summer morning! Absolutely, Steph - although I'll admit to enjoying them year round! I could drink this macchiato every day! So delicious! My $150 a month coffee bill THANKS YOU! Best compliment ever, Nikki - thank you! You're so kind, MJ - so appreciate your kind words and taking the time to let me know you enjoyed it. Totally made my day! This looks SO good! I am sure my husband will enjoy this! It's definitely my new morning drink go-to! This is such an amazing drink! Definitely a must-make!! This could be dangerous around me. No more need for Starbucks! It's so very dangerous, Dee! Oooh, those look and sound so good! Thanks so much, Kimberly - they're so easy, too! This could become a delicious habit very quickly! A simple recipe with tons of yum! That's definitely what's happened to me, Dorothy! I'm seriously in love with these. I could have them every morning. It definitely happens at my house, Jocelyn!